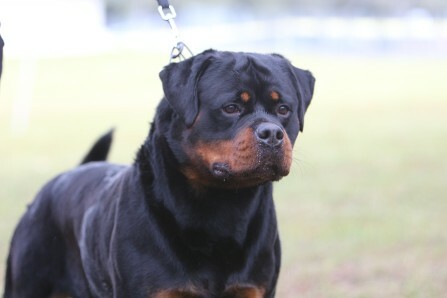 Rumo is an extremely large Rottweiler male, and just keeps getting better . Heavy bone and substance makes this boy look intimidating. 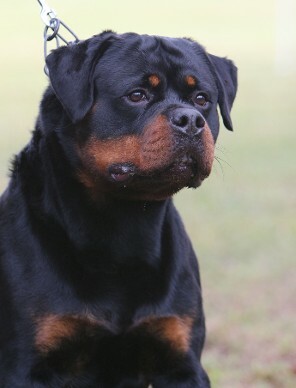 Rumo is a combination between male Rottweiler stud Greif von der Crossener Ranch and female Pippa von der Fischermuhle. 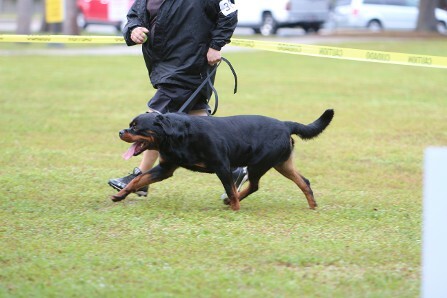 This amazing dog has a Schutzhund III, BH, ZTP from Germany. He has a amazing loveable temperament but has the drive to go work at all times.